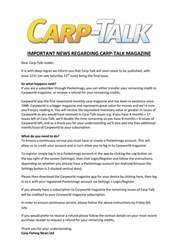 This week’s issue of Carp-Talk (issue 1040) is available to download now. 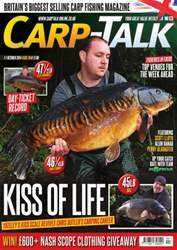 In this week’s issue we take a look at a few venues worth considering ahead of your next session in ‘Where to Fish’. Alijn Danau turns a disappointing week’s fishing on its head, and Team Korda explains how to get the best out of boilie fishing. 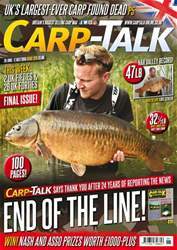 Scott Lloyd looks back at a mobile year on Linch Hill’s Stoneacre Lake. 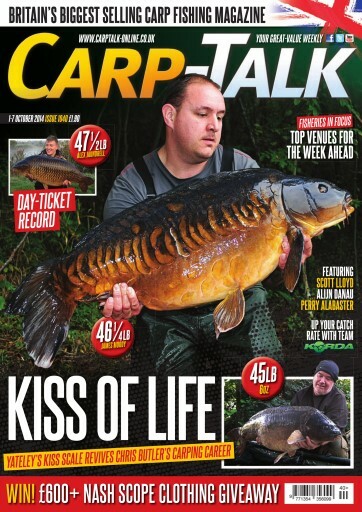 Perry Alabaster brings up the age-old size debate, and Ben Wales looks at the latest products from Avid Carp, Trakker, Taska, Phat Fishing Clothing, Korda and Top-Notch Tackle. 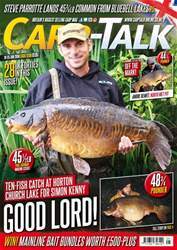 The Fox-Mainline Carp Angler of the Year competition continues, and there is £600-plus worth of Nash Scope Clothing to give away. The latest Wychwood Rising Stars winners are announced, along with the monthly Nash Tackle winners.